At Philip Kingsley we adopt a holistic approach to hair care - taking into account what your hair needs internally as well as externally to look and feel its absolute best. We understand the importance of hair - how it can affect day-to-day morale, self-confidence and also how it can be used to express our individual personalities. From over 100 years of collective trichological experience, we know that the correct hair care regime based on your hair texture, as well as its condition and length, are essential to a healthy scalp and beautiful head of hair. However, your hair also needs to be supported by a healthy lifestyle and diet. Our world-renowned clinics, in both London and New York, offer treatment for serious hair and scalp conditions ranging from genetic and nutritional related hair loss, alopecia areata and scarring alopecia to psoriasis, neurodermatitis and severe scaling and flaking of the scalp. 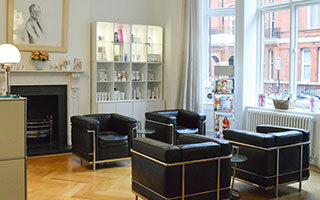 However, treatments are also available for cosmetic damage such as very dry, damaged and overly-processed hair. 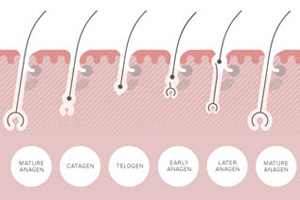 During consultation we always take into account your medical history and diet - addressing underlying factors as well as the immediate appearance of your hair. 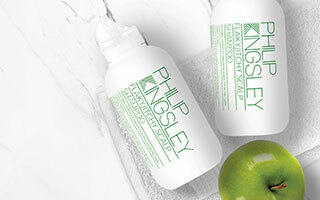 While our clinic products are prescription only, the multi-award winning Philip Kingsley Retail Range is available to everyone and is based on our expert clinic formulations and trichological knowledge. Our products are catered specifically to your individual hair texture, length and level of processing and also to your personal scalp needs. Healthy hair is beautiful hair! To find out more about our approach to hair care, please explore one of the topics below.